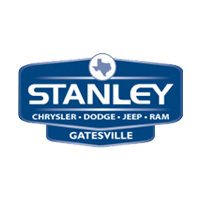 Stop in today for a test drive of one of these towing SUVs at our dealership in Gatesville, or contact us with any questions! The 2018 Dodge Durango is offered with available AWD, while the Jeep Grand Cherokee is offered with available 4WD. Chat with the staff at your Temple area CDJR dealer today about the benefits of both, and then buy your next towing SUV at our dealership today! We’re open Monday through Saturday, and we look forward to seeing you soon.